Video-Interactive Installation. 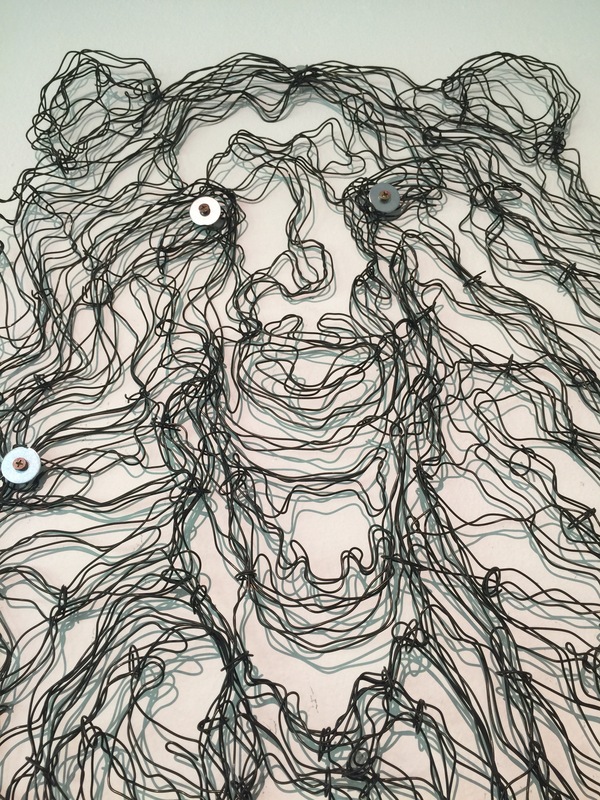 Video, Drawing, Arduino Sensors, Sound, Wire. 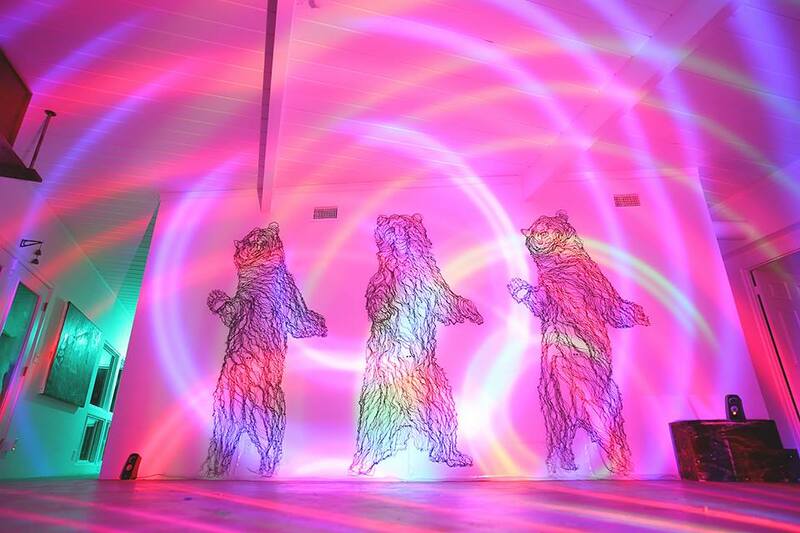 As you move around Bear, they move with you in sound. Layers of children laughing interrupted by proximity through increasingly dangerous bear growls. 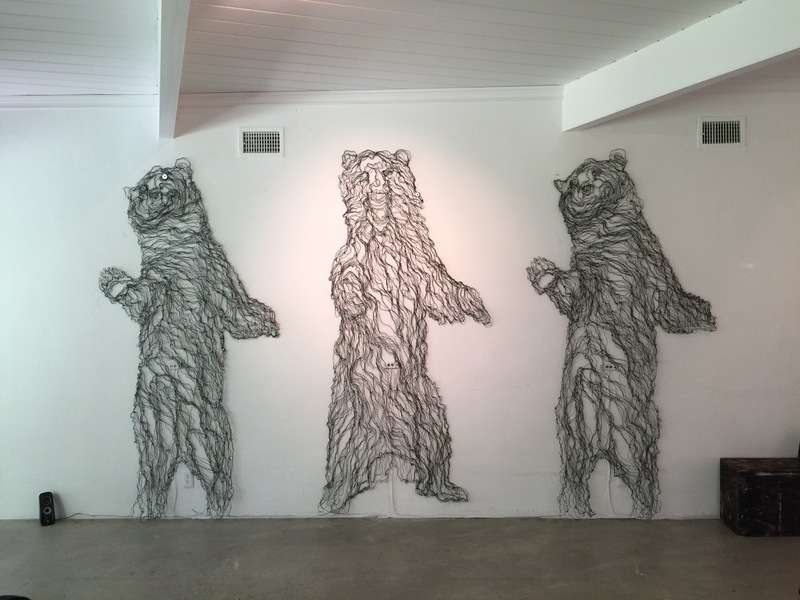 Wire Bears in Middle act as sensors. 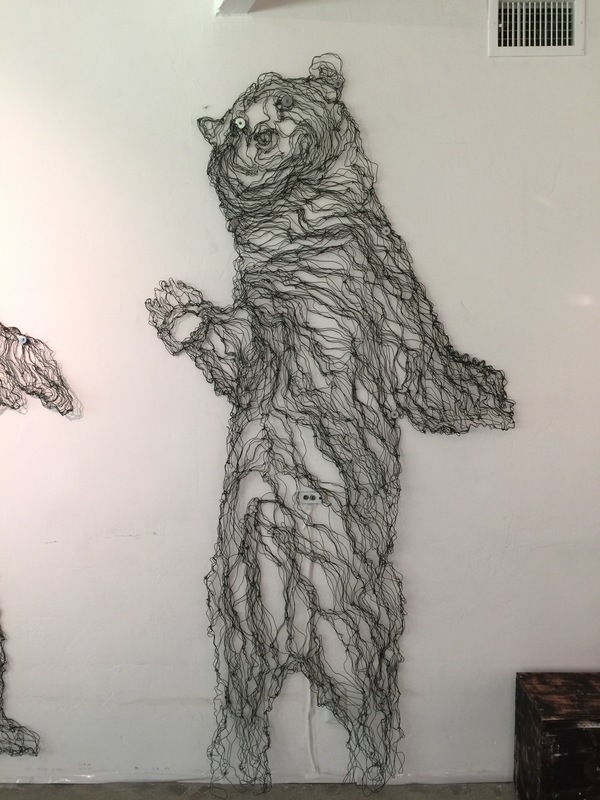 10 Wire Bears each 46”W x 98” H. Projections - Varying sizes..